New to the Market and Won’t Last Available: Two well-established boutique recreational cannabis dispensaries in one of the least saturated markets in Oregon. The brand was established in early 2014 with the opening of the first location, making it the first dispensary to open in this city and county. The second location opened at the other end of the city on January 1st, 2017, with the full passage of recreational legalization. The second location is approaching its two-year anniversary while the first location is well on the way to its five-year anniversary. We have focused very heavily on brand recognition and generating goodwill in our community. As the first dispensary in the county we received enormous free press upon opening. Our brand is sophisticated and professional, carefully tailored to the local demographic (most educated and with the highest disposable income), standing in stark contrast to those headshop-themed stores that make up the competition. Both stores are outfitted with extremely sophisticated security systems which meet or exceed all OLCC regulations. We have had the local police in to train our staff in how to recognize and behave in an emergency. Some details below. Additional information will be provided to serious interested parties upon signing NDA. •	Cash Flow o	Annual gross income for both stores is $1,500,000. Including the OLCC licensed garden in the sale of the dispensaries would increase the annual income substantially. o	Consistent flow of customers and large average purchases. o	Multiple vendors are exclusive with us in town. o	Both properties are leased stand-alone buildings with private parking lots. The first location is 700 square feet and leases for $1700 per month. The second location is 2,500 square feet, includes a fully outfitted commercial kitchen, and leases for $12,000 per month. This lease may be renegotiated at renewal time in June 2019. o	There are currently ten total dispensaries in the city; owning two means cornering 20% of the dispensary business in town. The State of Oregon has paused processing new license applications. o	More detailed financials will be provided to serious parties with proof of capital and a nondisclosure agreement. •	Vertically integrated in the market: o	The second store location was formerly a restaurant and boasts a large, outfitted, OLCC licensable commercial kitchen which could easily be licensed and used to make edibles, topicals, etc. o	We have specialized heavily in production of our own flower, clones, and pre-rolls at our OLCC licensed garden. We have also recently begun selling cartridges filled with oil extracted from our flower at both store locations. Our garden’s brand and reputation are well-established; people have been traveling from all over the state to purchase clones from us since 2014. The garden is not included in this listing, but we are willing to negotiate its sale as part of a package. Vertical integration is a primary driver of success in cannabis retail. •	Brand recognition and design: o	Both stores are located on primary traffic corridors in the city and have great, dedicated parking. o	Both stores are located near other, popular businesses. The second location is at one of the busiest intersections in the city – directly across the street from a Market of Choice grocery store and a Rite Aid, less than a block from the only liquor store in that end of town, the only Walmart in town, the Buffalo Wild Wings, and other popular restaurants and retail stores. They are – by far – the best located dispensaries in town. o	Both store locations were remodeled to suit the dispensaries. The second, larger location has a large mirror-lined glassed-in clone room and draws a lot of traffic from people in the market for plants. 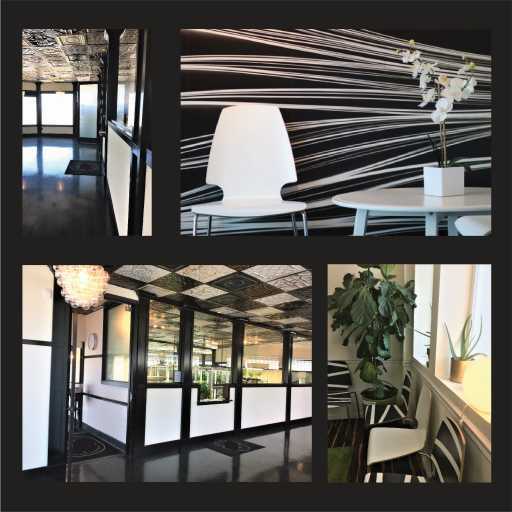 Additionally, the store has an elegant metallic epoxy concrete floor, a unique patchwork hand-painted artisan metal tile drop ceiling, a ten by four foot frosted glass door opening onto the sales floor, specialty wallpaper in the restrooms, offices, and break room, and huge frosted windows lining one wall of the sales floor. o	Both store locations were grandfathered in under city code with much larger signage than the city allows for new businesses. Relative to square footage, we have among the largest signage in town on the busiest streets in town. o	Every flower, pre-roll, and clone purchase leaves the building with our logo attached to the packaging. Where other stores simply place the legally required information, we treat every container and bag as an opportunity to advertise. o	We have filled the community with hats and T-shirts sporting our logo and have used on-the-ground advertising that people interact with directly. For example, we have provided local bars with coasters with our logo on them, strategically placed posters around town, sponsored community events, advertised on the pedi-cab that serves the popular local farmer’s market, etc. We have also advertised on radio, in the local independent newspaper, in the phonebook, at the local independent cinema, etc. •	Ease of Operation o	We employ an average of twenty-two full and part-time people; of those, an average of seven are managers. All staff are cross-trained for multiple positions and we utilize staff-sharing between locations to create consistency in our atmospheres. The result is that every employee can work every position at both locations. o	We have devoted great effort to cultivating and nurturing relationships with strong employees. Of our twenty-two employees, three have worked for us for over three years, sixteen have worked for us for two years, and only two out of the twenty-two have worked for us for less than one full year. o	Because they are happy to work for us, they are devoted to the success of the stores. They care about cannabis science and are well-trained in current known science. All but the newest two employees are “CBD Certified” as are the stores themselves. We provide samples, a small charge account, and employee discounts, so they are always knowledgeable about the products we carry. The extent of their knowledge and their genuine care for their customers make them excellent salespeople. o	We utilize an online platform called Basecamp. An employee from every shift at both locations is required to post a daily message here, all employees are required to read the daily posts for updates about everything from tasks needing completed to product education. Employees also have access to both formal and informal group chats and private messages but we are also able to limit access of certain messages and files where necessary. We keep employee performance records here which are continually updated and use them as a basis for employee reviews. This has created a high level of accountability and a constant stream of communication among staff, and between staff and upper management. It also works as a centralized cloud-based location for important files – such as employee policies and training manuals, and a calendar for staff meetings and product intakes. o	We have very detailed employee policies which clearly outline expectations for everything from attire to deportment and attendance policies. We frequently update policies so they are always relevant. o	We have very detailed standard operating procedures that cover everything from daily operations to power outages. We have focused on creating consistent procedures in order to prevent guesswork. o	We have very detailed guides for training and for various tasks performed by all positions. This allows us to have consistency in everything from training a new employee in any position to formatting menus and handling intakes and customer returns. It also allows staff to utilize procedural guides in situations which are new to them rather than requiring frequent upper management interventions. o	Existing trained managers are able to run the day-to-day operations of the store and only require general oversight and input from owners. Two stand-alone locations. First location lease $1700 may be renegotiated January, 2017. Possible purchase option on this property, indefinite renewal. Second location lease $12,000 may be renegotiated upon renewal June, 2019. Possible eventual purchase option on this property, though nothing firm has been offered, the possibility has been discussed. Two additional three year renewal options in contract.